The Brindle Dog Loves her Oma. And her Food. And her Massages. And her Stick. 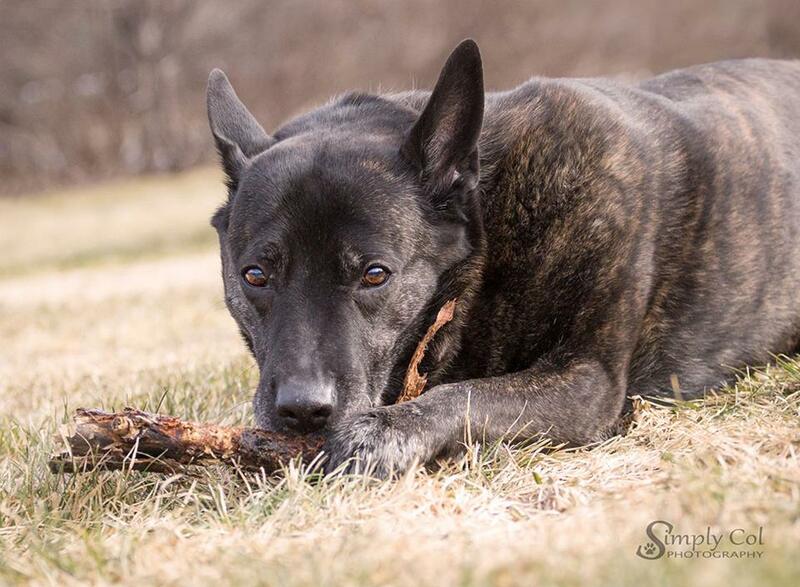 The Brindle Dog’s tumour is hungry. Cancer sometimes works that way. She eats and eats but doesn’t gain weight. She eats about a third more than the Fluffy Dog who outweighs her by a good twenty pounds. This entry was posted in Childhood, Dogs, Everything and tagged Barking Back, dog, love, mother, Mother's Day, old dog, sick dog on 09/05/2016 by nissetje.